Shainaz Firfiray is an associate professor in the organization and human resource management group at Warwick Business School, University of Warwick. She received her PhD in management at IE Business School, Spain. 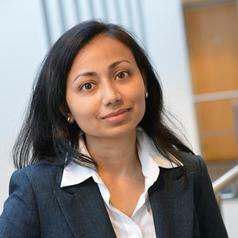 Her research interests include social identity, work-life balance, diversity and family firms. She has published journal articles on work-life balance, nepotism in business and family businesses, the importance of diversity in organisations, leadership and CEOs.